He was referring to the fact that in cloud computing you cannot afford to have people in the middle of the provisioning, management and operation processes. Infrastructure and applications must be provisioned on the spot and the whole thing has to be able to scale up and down to keep up with demand. In other words, the level of automation required in a cloud computing environment (whether private or public) is at a completely different scale than in the past. As I dive deeper in the Desktop Virtualization market and use cases, this phrase is even more applicable. 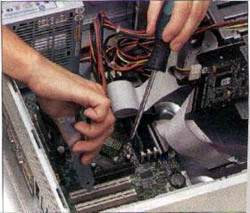 Unlike the data center where you can at least walk around in a confined space with your screwdriver to rack servers, fix breakage and so on, with desktop and laptop computers the problem it is not the same. Offices are distributed and people travel, when something break it is always mission critical event and the end point not always easily reachable. This is why thousands of organization are looking at desktop virtualization to address this problem and create a more centralized desktop infrastructure that offers better security, manageability and compliance while still giving end-users a great desktop experience. I will post more about these type of topics going forward. Very true Vittorio, screwdriver do not scale. Provisioning Desktop will be as good as the software and the architect are. In the job market it is very difficult to find the people required to architect design and maintain the infrastructure required having all the users happy. To be honest, designing a desktop virtualization solution is easy. Building a desktop virtualization solution is easy. what takes time. What takes planning. What takes intelligence is managing and maintaining it. If you don’t have the operational aspects in place, you will be in for a surprise. And with thousands of users using a single infrastructure, automation is the only way to keep the system running with minimal impact to the users. 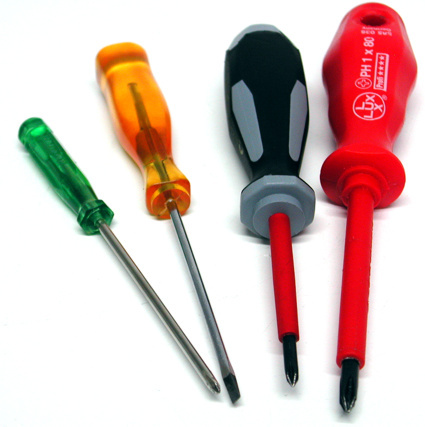 I’ll have to remember the “Screwdrivers don’t scale” Wonderful quote.